Opulent stones and vivid hues worn by the famous make de Grisogono pieces of jewelry a high-end jewelry brand that stands out thanks to a blend of unorthodox design and unrivalled mastery. 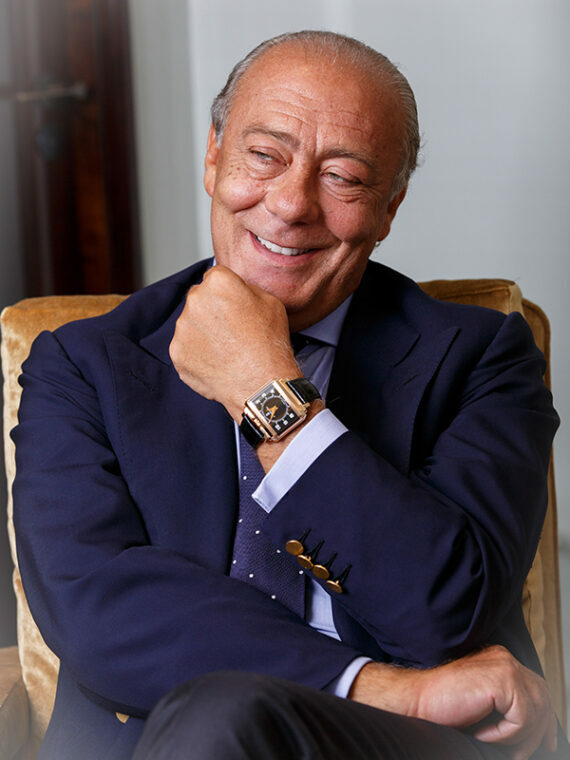 De Grisogono has always been a brand to go against, to redefine and to shape trends in the high-end jewellery world. 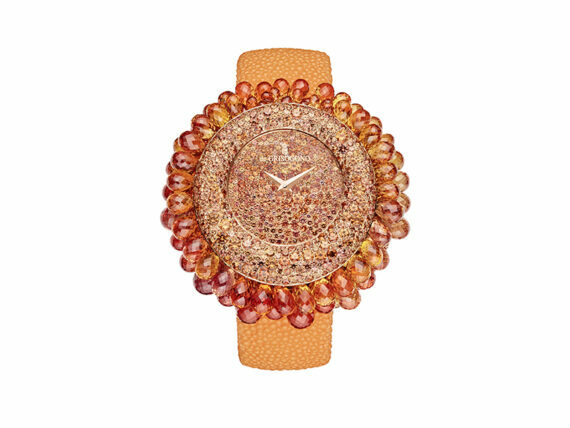 With a keen eye for style and exuberant elegance, their creations are in a league of their own. Preserving and perpetuating the art of Haute Joailerie has become the life-long mission of the brand, transforming into extravagant beauty and absolute perfection. Dedicated to flawless design and continual innovation, De Grisogono has become synonymous for superlative expertise and impeccable execution. Their outstanding compositions transcend time and trends and embody a combination of distinctive signatures, exceptional stones and state-of-the-art setting techniques. The freedom and detail of the jewellery is the perfect embodiment of luxury with a sense of harmony that is almost ethereal. 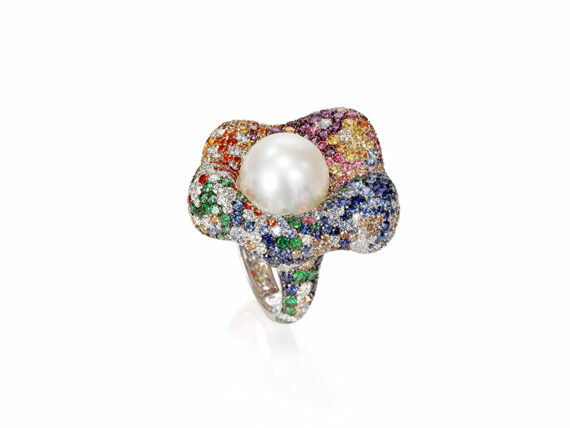 With vivid and abundant colours De Grisogono captures and relays the abundance of life by creating pure poetry. Guided by intuition and traditions, every collection is a splendid blend of joyous shapes and decadently luxurious precious stones paved in gold. 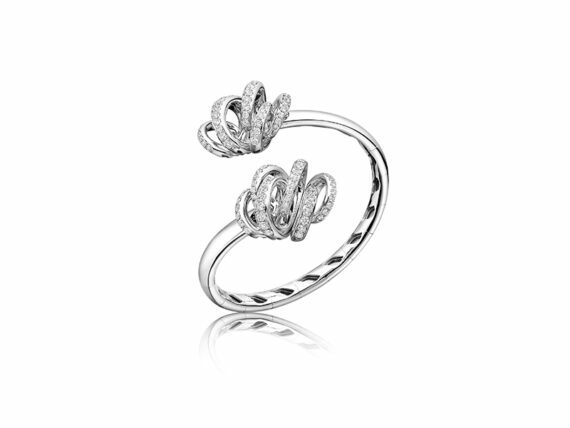 Allegra, Anelli, Bocca – every line is a divine combination of ingeniously crafted pieces that assert strong elegance. 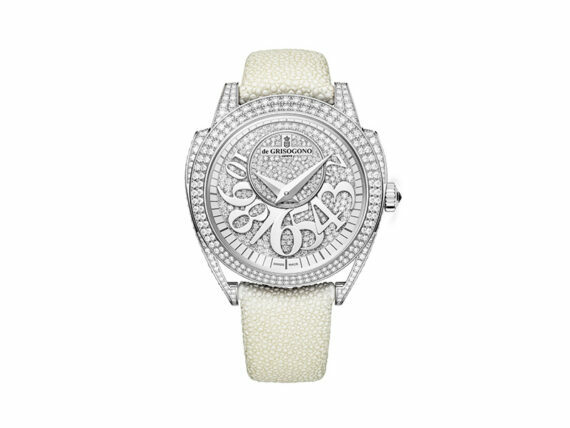 Inspired by limelight and glamour – De Grisogono style captures the essence of charismatic allure and intensity of composition that has come to be its trademark signature. The unique interpretations of forms and symbols bring out the inherent beauty of gems through the creation of the upmost stylish and statement jewels. Impeccably sculpted to the last detail, the creations convey a dazzling array of messages – from discretion to exuberance – they are a prefect expression of a glamorous haute bohemian style. De Grisogono stands out with an intriguing elusive charm that is enchantingly different and decadently luxurious – a combination that continues to attract the crème of the crop of high-end clientele.